ADDRESS Interview with Kari Kristensen. Define your craft in 3 sentences or less. I am a contemporary Canadian printmaker/muralist based in Vancouver. My current series specializes in intricately cut linoleum prints which re-imagine the Canadian Landscape. I’d say I veer toward a clean, mostly monochrome and graphic aesthetic. Describe your creative process. Printmaking involves a number of processes to reach the final product. I generally begin with a study…analyzing light and shadow. Then I focus in and really enhance it to reach the final design. While painters have shades and tone, I’m restricted to only line–so I have to manipulate it to get my light and shadow just right. Carving the linoleum, my favourite part of the process, can take up to 30 hours by itself, so we spend a lot of time together even before it gets printed. Finally, I print it on my beautiful etching press and say a secret prayer every time that it’s going to work out. Where do you find inspiration when experiencing a creative block? While I’m inspired by many things, I don’t believe in creative blocks. I believe in showing up and seeing what happens. Inevitably, something always does. What advice would you give to young designers / makers / artists / creatives aspiring to make it in their field? Keep practicing and looking for your original voice. I hear a lot of people say that there’s nothing new, that everything has been done before. That’s poppycock. Make the work, meet your people. What’s your dream project? 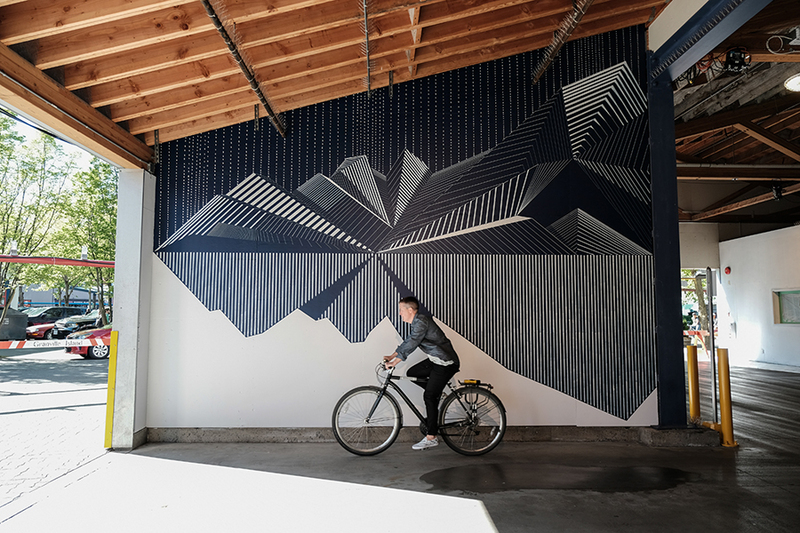 A giant print and mural installation. Wouldn’t that be fun? What art and design trends are you excited about? I think there’s a growing desire for artisanal processes and that’s pretty exciting. More people want what’s real and made by a talented human as opposed to something generic and mass produced.